Acquiring easy and secure payment processing is still a dream yet to come true for the marijuana industry. 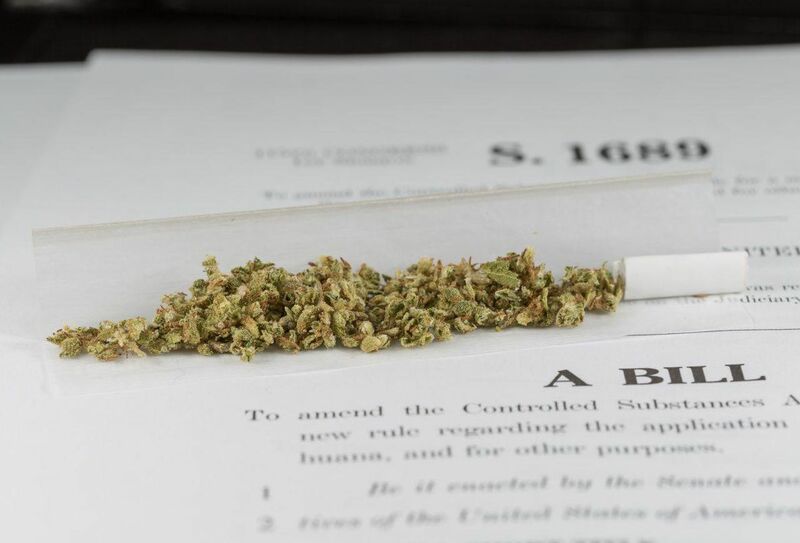 As we speak, Washington D.C and 30 other states have legalized marijuana and cannabis products for different purposes (i.e., recreation or medication). Regrettably, however, this legalization tends to clash with federal laws. The CSA (Controlled Substances Act) still categorizes cannabis as a Schedule 1 which means it is also illegal for banking institutions to accommodate merchants in this space. Consequently, state-legal marijuana sales are transacted solely in cash. But a recent bipartisan bill— famous as “the STATES Act” (Strengthening the Tenth Amendment Through Entrusting States Act) — may allow legitimate marijuana companies in states that have decriminalized pot to acquire merchant accounts form financial companies and enjoy high risk credit card processing. And though the NMA (National Merchants Association) is undecided on whether to with work cannabis-based business owners, entrepreneurs in the sector are in full support of the STATES Act. Most of them say they can’t run their legal business the right way without legit financial accounts. It is hard to thrive in a cash-only economy, particularly for a rapidly growing space like the cannabis sector. And because these entities rake in plenty of revenue, lawmakers must mow amend banking laws. Imagine having to accept payments, clear payroll and purchase any material or machines you need only in cash. It makes recording transactions a hectic process and hinders the flow of money back into the economy. The STATES Act could provide a fresh opportunity to establish a better payments environment by setting free cannabis merchants. Eliminate conflicting state and federal laws by permitting legit cannabis business to enter the financial system in states that have legalized. Safeguard payment processors by explicitly stating that compliant transactions aren’t and shouldn’t be considered drug trafficking. Even the legislators moving actively against legalization know they’ll soon lose the battle. And now, regardless of our differences concerning the use and legalization of pot, we must give merchants and customers in the sector an opportunity to buy and sell their products just like other people running other industries have the pleasure. Author bio: Electronic payments expert Blair Thomas is the co-founder of high risk payment processing company eMerchantBroker. Thomas helps high risk firms set up high risk credit card processing solutions. He’s just as passionate about his business as he is with traveling and spending time with his dog Cooper.